Do you need to return something? You'll need a Return Authorization before shipping your products back to us. To get an authorization, just follow this 3 step process. Step 1: Log into your account? Don't have an account? Your order confirmation should contain a link that will let you set a password and create an account. 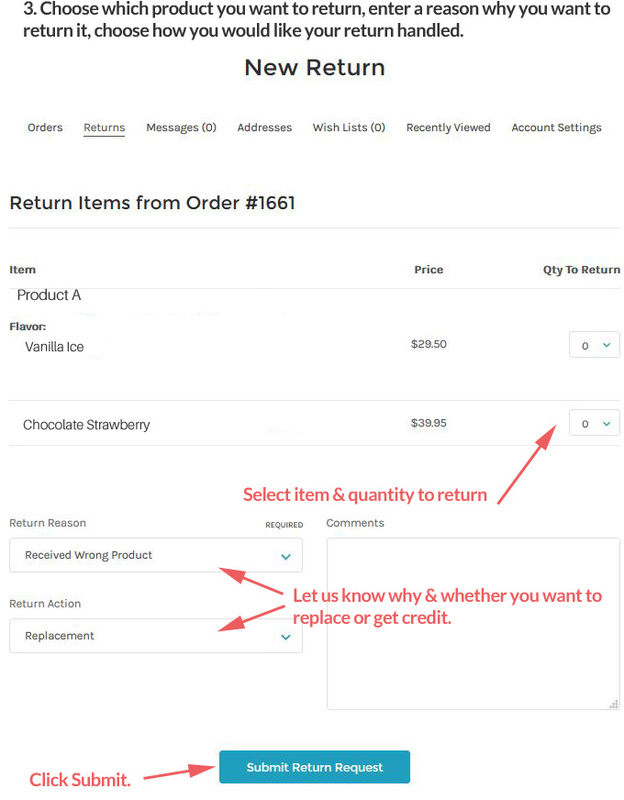 Step 2: Review your list of past orders and click on the "Return Items" link. Step 3: Choose which product you want to return. Enter a reason why you want to return it and choose how you would like your return handled. That's it! We'll get back to you within 2 business days. If you have any questions, feel free to contact us. Here's where you can review our return policy.